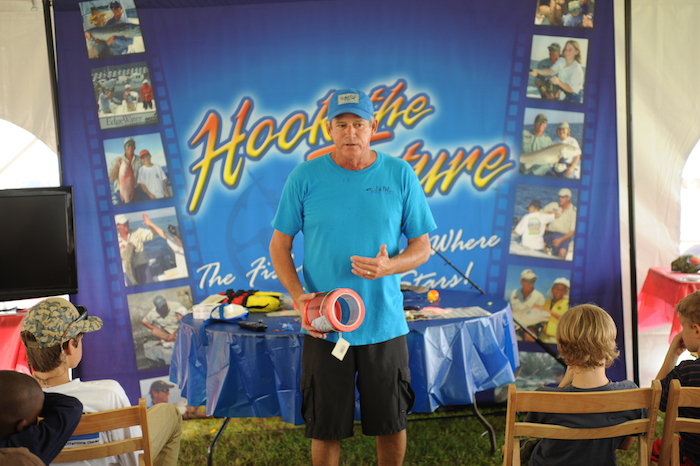 Captain Don will teach children how to catch anything a grown up can with the right tackle. This interactive clinic will not only educate your children on safety, it will teach them the joy of fishing. Every child who attends will receive a FREE rod and reel along with other great prizes from Capt. Don! The best way to enjoy the entire show, from The Shell to Battleship Park and back. Experience a FREE ride on the water between locations. Attention all Scallywags and Wenches (and all those in between)! 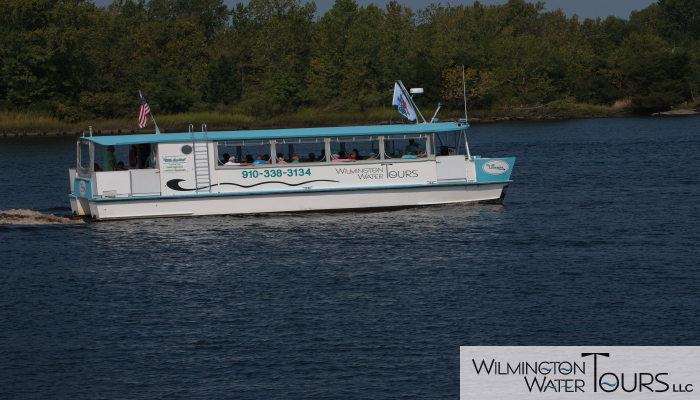 Captain Jack and his ladies will be setting their course for the Wilmington Boat Show on September 9th and 10th! 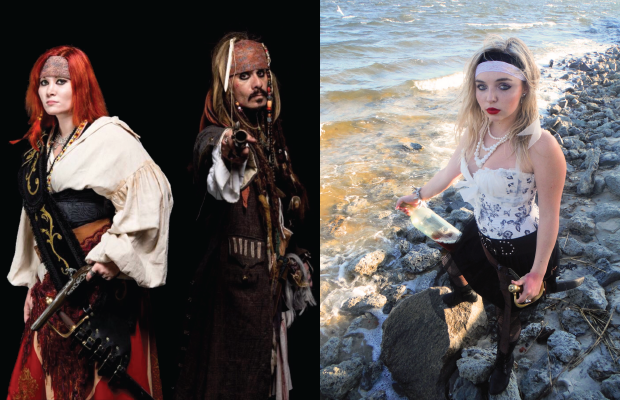 Come out and see Captain Jack Sparrow, Anne Bonny, and Mary Read as they make Wilmington their port for the weekend!Hold on to your wallets, hide the rum, and keep your wenches close as you take pictures with Captain Jack and his crew. There will be lots of pillaging, plundering, and perhaps a hijacking or two! Mark your calendars and set sail for the Wilmington Boat Show! Donnie Osborne is a cosplayer and Captain Jack Sparrow impersonator. He has been entertaining folks as Captain Jack for more than 10 years. He has made a guest appearance at The Caribbean Beach Resort at Walt Disney World as Captain Jack, met several of the Pirates of the Caribbean cast members, including Johnny Depp himself. Before becoming Captain Jack, Donnie was in the Air Force and later in Law Enforcement. Being a disabled veteran, he turned to cosplay and creating art as a way to spend his free time. It’s a pirates life for him! Captain Dave Tilley of SaltwaterCentral.Com and the Wild Rover III teaching the do’s and don’ts of weather forecasting for a saltwater Captain. 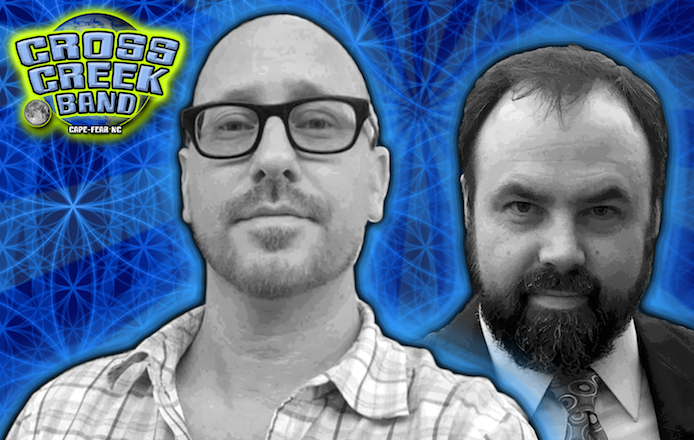 We will cover various weather models and forecasts and what they mean in the real world. Details of Significant wave height, period, wind speed and wind direction. Scott Douglas, offshore fishing expert and marine professional discusses what it takes to have the perfect fishing machine. Whether it’s cooling plates in the fish box or underwater light and multiple Go-Pro pods, you are only limited by your imagination. Scott Douglas, a member of the MarineMax of Wrightsville sales team, is an avid outdoorsman and fisherman. His fishing adventures have taken him to Alaska and other exciting locations. In addition to his hunting and fishing expeditions he loves offshore fishing.. This seminar features the 2015 Southern Kingfish Association National Champion Eris Jones. 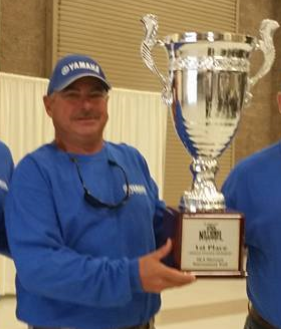 He provides offshore fishing expertise on fishing for Kings and Wahoo the way the Pros do. Captain Eris Jones is a lifelong North Carolina Native. A few years ago Eris left his career as an E.M.T. and plunged head first into his fishing career. In 2015 he won the SKA National Championship. Today he is one of the most well known seminar speakers in the Carolinas. 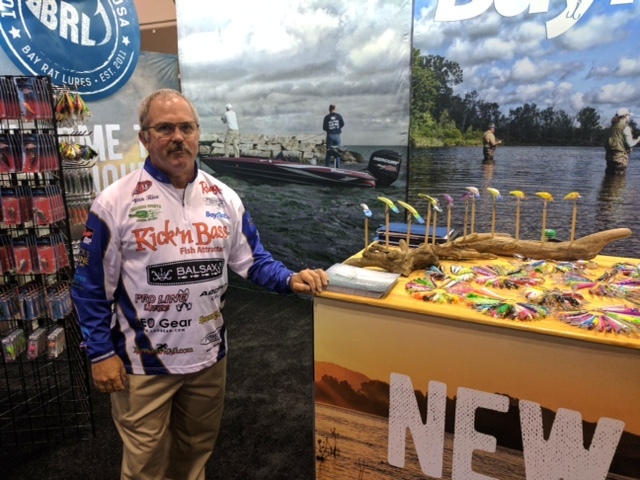 Captain Jamie Rushing brings his many years of Speckled Trout fishing to this seminar. The event will include the conditions that make fall fishing the best. Jamie will also cover things you need to know when it comes to understanding the feeding and biting habits of the fall trout. 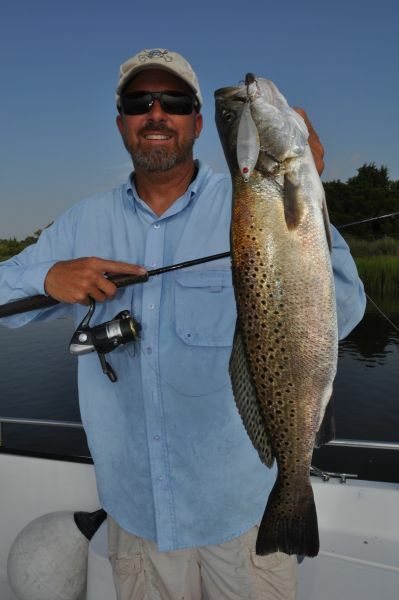 Captain Jamie Rushing of Seagate Charters is known for his smile and good nature as well as being one of the most successful Speckled Trout anglers on the Carolina Coast. His ability to understand and respond to the feeding habits and migration of the trout has played a significant role in his fishing and speaking success. Amanda King’s seminar covers how you can reap the reward of the Cape Fear River Redfish fishery. She will provide info on fishing the tides, rips and shoals of the Lower Cape Fear where the big reds live and eat. 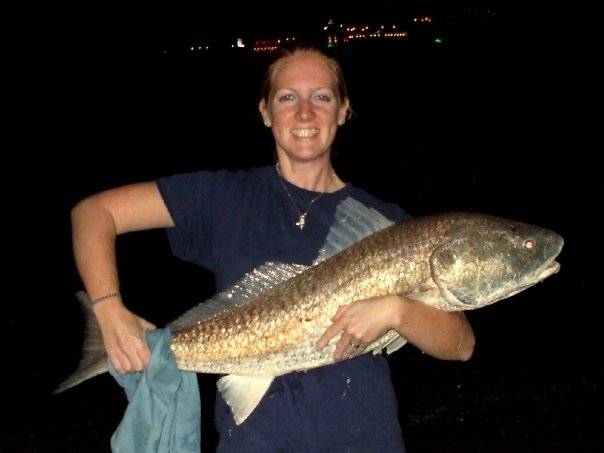 Captain Amanda King is an up and coming fishing guide out of Carolina Beach, NC. She comes armed with a degree in Marine Sciences and years of competitive fishing history. She owns and operates Second Wind Charters and specializes in light tackle fishing. Captain Lee Parsons will share his vast flounder fishing experience with detailed rigging tips and the signs that tell flounder are near. His presentation will include info on the preferred conditions and environment for catching flounder. This seminar offers the expertise of 25 year veteran of charter fishing, Captain Rod Bierstedt of On My Way Charters. 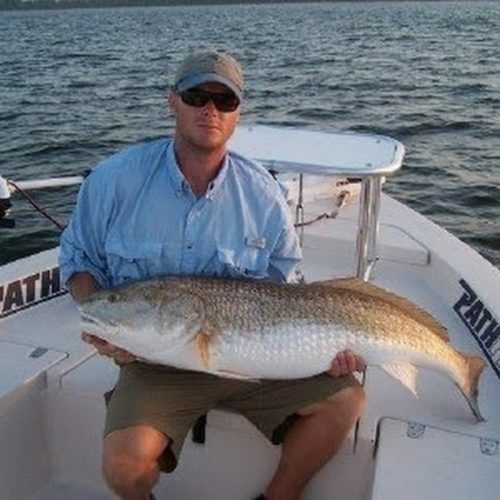 His presentation will cover how to locate and fish prime offshore fishing structures such as ledges and underwater bumps that attract bait and larger fish. 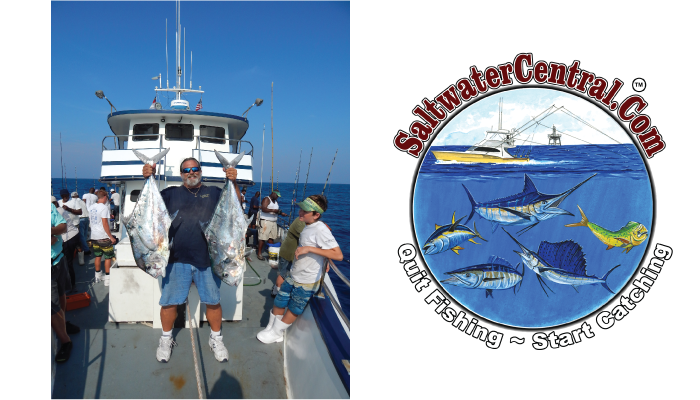 Captain Beirstedt will address how to find, rig and catch species like Grouper, Snapper and much more. Captain Rod Bierstedt has been a charter captain for over 25 years. 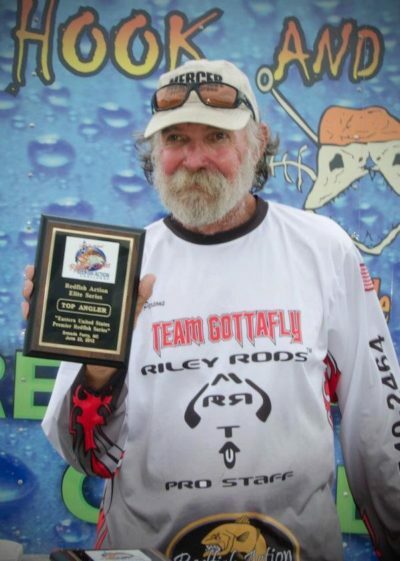 He is a well known member of the Coastal Carolina fishing speaking circuit and speaks at many events such as fishing schools and fishing clubs. 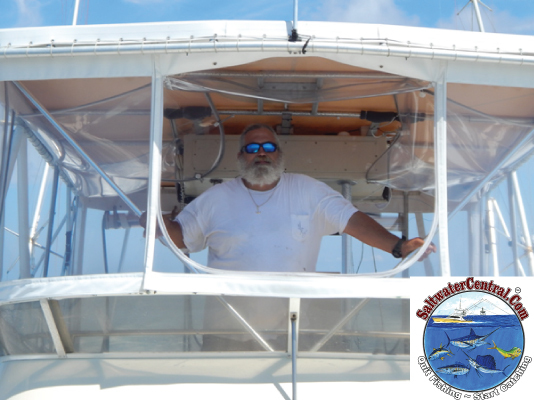 He brings years of experience as a charter and commercial fisherman and well known for his dynamic presentations on topics of fishing offshore structure and offshore trolling. Capt. Wayne Canning lives on his Irwin 40 VAYU, in Cape Coral FL. 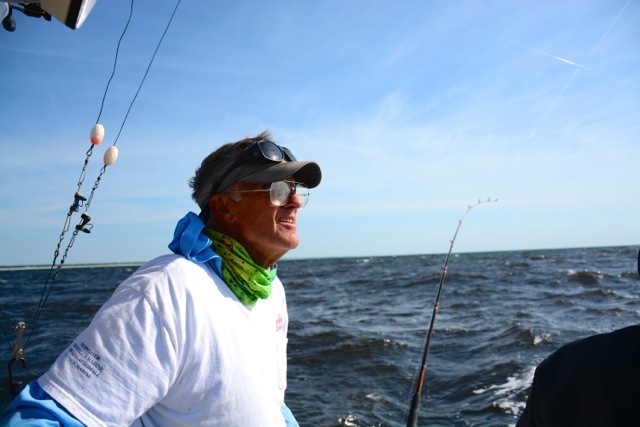 Wayne grew up on Long Island sound and began messing with boats at an early age. An avid sailor and cruiser with thousands of miles under his keel, Wayne has worked in the marine industry as a designer and engineer as well as having had years of hands on experience building and repairing yachts of all types. A marine professional for more than 45 years he is now a self employed Marine Surveyor, delivery skipper, and freelance boating writer as well as being a consultant/project manager for major repairs and restorations. Wayne has written technical and how to articles for publications such as SAIL, Cruising World, Soundings, Bluewater Sailing, Good Old Boat, and is a contributing editor with Ocean Navigator magazine. Wayne has just released his first book “Fiberglass Boat Restoration” through Seahorse publishing. Although not considered a very glamorous part of any boat, bilges pumps are often key to remaining afloat. Capt. Wayne explains the many different types of bilge pumps, there uses, and how to properly install them for greatest efficiency. Along with bilges pumps high water alarms are your first defense should your vessel begin taking on water. Understanding a good high water alarm system is as important as a good pump system. With many years’ experience building and repairing boats Capt. Wayne will help you understand these sometimes confusing systems in simple terms to keep you and your crew safe and dry. Captain Kevin Hennessey was chosen for the second time as outstanding sailing Instructor and outstanding sailing school by American Sailing Association, most recently 2015. He was one of 15 out of 2,500 instructors chosen. Kevin’s commitment to teaching sailing shows through the reviews that his students give him on his face book page for Cape Fear Sailing Academy. His dedication to getting people on the water has made his school one of the elite schools in the country. Come to a seminar to learn the sailing basics from the best. 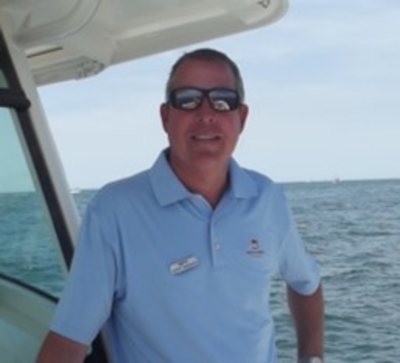 Captain Kevin Hennessey is a Master Power Boating Instructor for US Power Boating His hard work and dedication to safe power boat handling has made his power training facility in Southport one of the best in the country and the best in North Carolina. Go to his Facebook page at North Carolina Boat Rentals to read the wonderful reviews that his students have left. Come for a seminar at the boat show to learn from the best. Located in historic downtown Wilmington, North Carolina along the Cape Fear River to the left of the Wilmington Convention Center. CFCC’s boat building school offers two programs designed to teach students the fundamentals to work in the boat building and repair industry. Graduates will have the skills needed to work for companies in boat building, boat repair or woodworking. 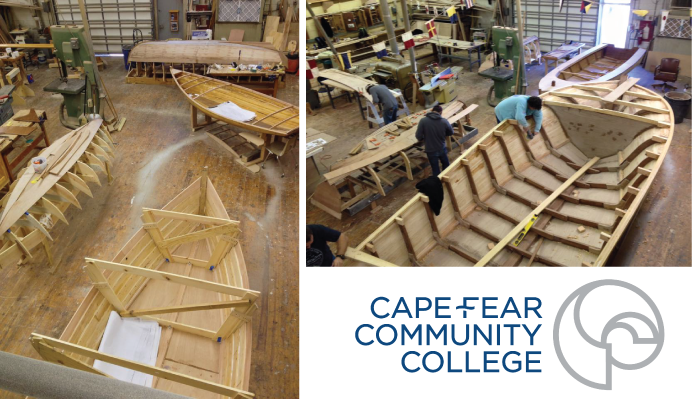 The CFCC Wooden Boat Building program prepares individuals for employment in the wooden boat manufacturing industry. Students complete all aspects of boat construction from lofting to launching. Graduates may find employment with yacht manufacturers or with other companies needing wood furniture or moldings fabricated and installed. The Boat Manufacture and Service program prepares students for employment in industries that use modern fiberglass boat construction techniques. The program is a member of the American Boat Yacht Council (ABYC) Marine League of Schools and teaches students the fundamentals of boat service in the disciplines of plumbing, electrical, fiberglass and engine systems. Students find employment in commercial boat building industries, building boats using modern fiberglass techniques. The North Carolina Division of Marine Fisheries Marine Patrol Education Team travels throughout the State of North Carolina educating recreational fishermen and the general public on sustainable fishing and protecting North Carolina’s natural resources. Wrightsville Beach Outrigger Canoe Club (WBOCC) formed in 2016 to provide the local paddling community with access to the unique challenge of outrigger canoeing. 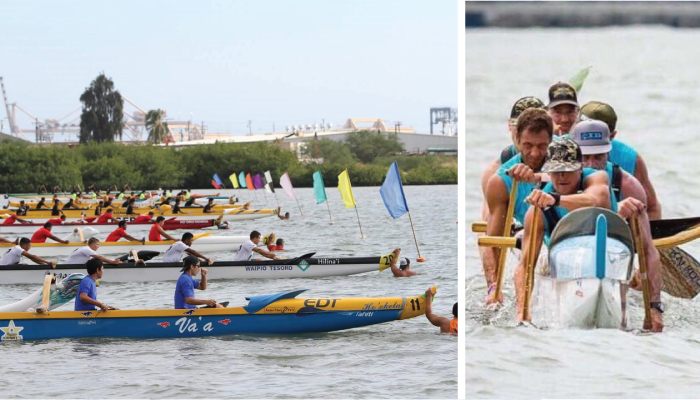 Originally meant for travel across oceans and between islands, outrigger canoeing has become a highly competitive sport. WBOCC trains men’s and women’s crews and has traveled from Florida to New York to compete in long distance races. 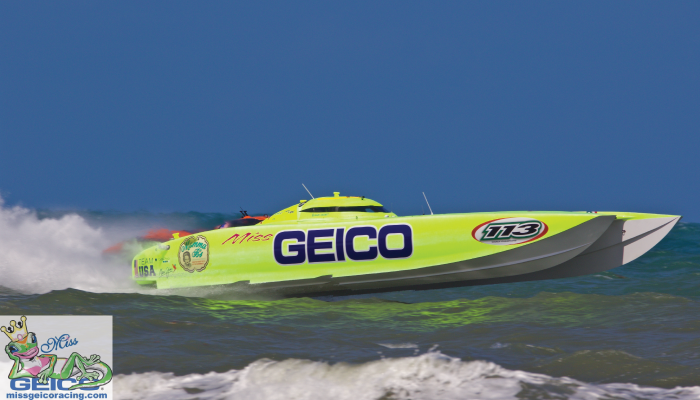 During the Wilmington Boat Show, WBOCC will host a traditional Hawaiian sprint race which consists of a quarter mile course involving one or three turns around buoys. Dozens of crews will compete against each other in a round robin tournament to see who can claim fastest canoe! The WBOCC Ohana (family) welcomes all attendees to the Wilmington Boat Show to our waterways and we hope they will enjoy our southern style Aloha. 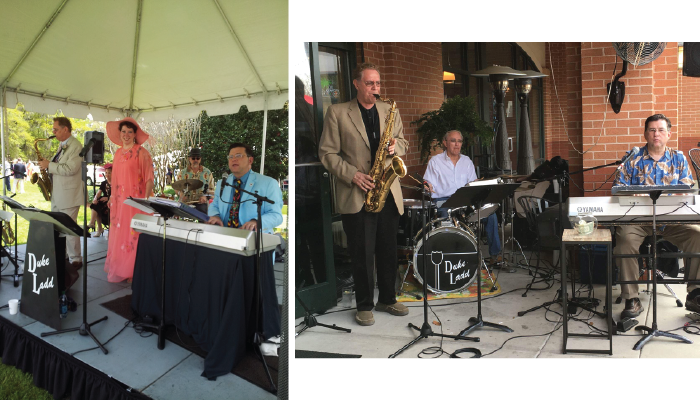 The Duke Ladd Trio returns to the Wilmington Boat Show! pop ballads. The diversity of this band will enlighten your day! Dave Hervey – acoustic guitar, acoustic bass, lead & backing vocals, various sounds, etc. Harry P. – custom mini drum set, percussion, backing & lead vocals, kazoo, various sounds, etc. Time to give mommy and daddy a break. 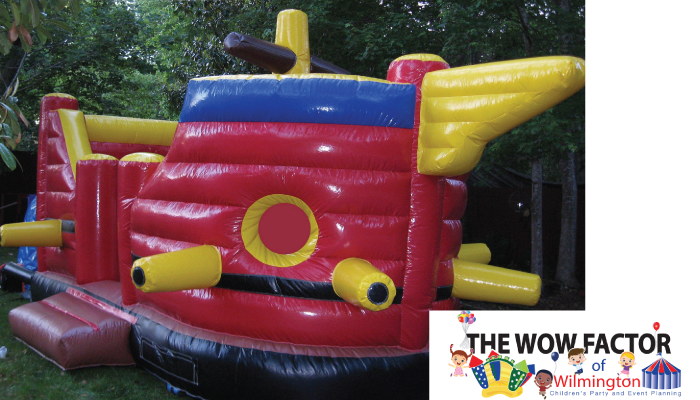 Kids get your pent up energy out at the ever popular kids’ bouncy house. 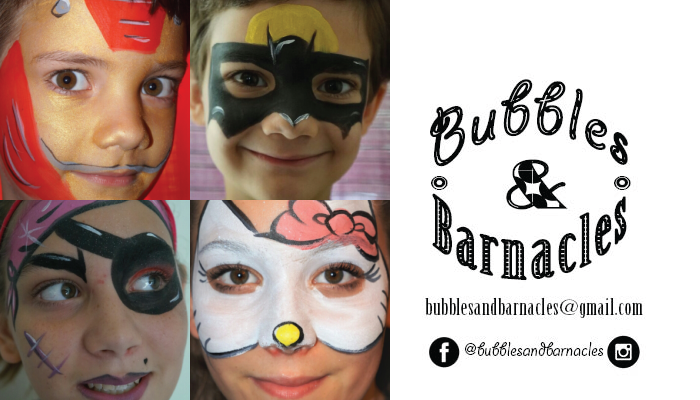 Face painting at the Wilmington Boat Show! Stop by the Coastal Carolina Fisherman booth for knot tying demonstrations. 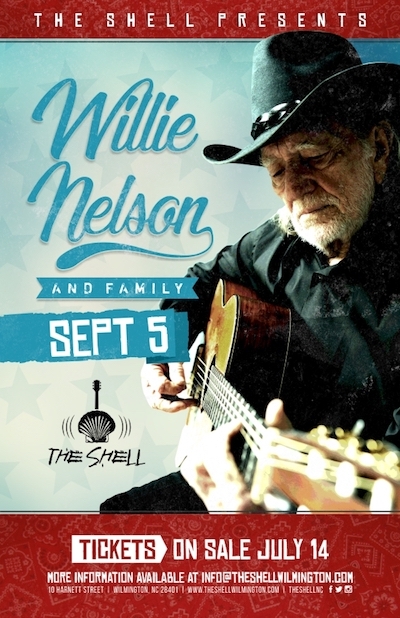 Kicking off the 2017 Wilmington Boat Show with Willie Nelson on Tuesday, September 5th at “The Shell"